The Collegiate tradition is one of academic excellence and accessibility, in an environment of critical thinking and community spirit. 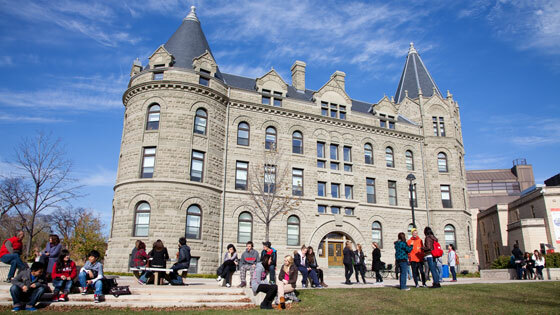 Continuing in its worthy traditions, The Collegiate at The University of Winnipeg is committed to offering Grade 9, 10, 11, and 12 students high school programs that provide a transition to post-secondary education. The Collegiate philosophy emphasizes the need for students to become mature individuals within an atmosphere of self-generated discipline, where students can discover freedom and its complement, responsibility. Many students begin their journey at the Collegiate supported by its strong entrance scholarship program and the Dean’s Bursary Fund. With many students’ first year expenses covered, the priority now is to expand the student award program to better aid students in their second, third, and fourth years of study. To this end, the Collegiate has established a Continuing Student Scholarship program. With donor support, these scholarships will recognize the academic achievements of the Collegiate’s existing student body and will encourage students to work harder and achieve more from their studies. 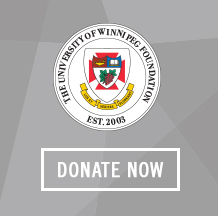 The Model School at the University of Winnipeg Collegiate provides students with the opportunity and the support needed to graduate from high school and prepare for post-secondary education. The students enrolled in the program are from backgrounds that have traditionally been under-represented in both high school and post-secondary graduation rates. Click here to learn more about The Model School.